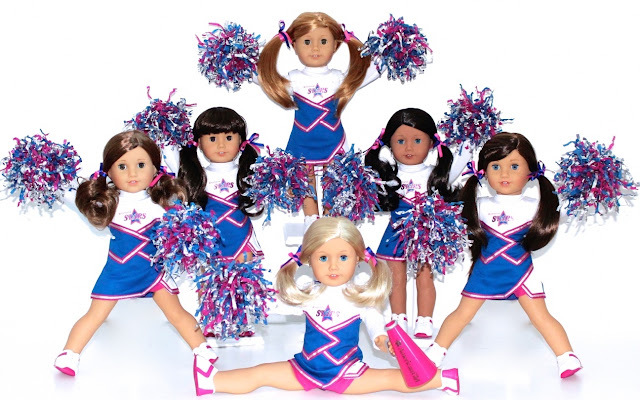 American Girl Spirit is working on some awesomely fun new cheer videos for 2018. 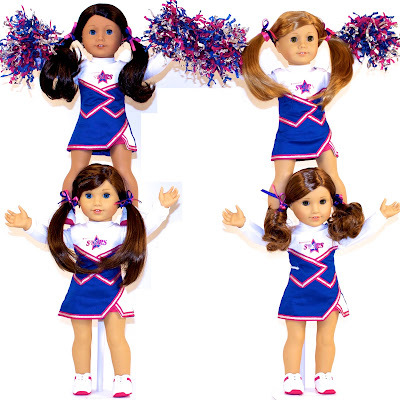 We will bring back our popular American Girl Spirit Cheerleaders in a new video, with a few changes in the lineup. Rebecca and Samantha have changed over to a new sport, which is very exciting for them and two new girls will take their places. I wonder who will replace them? Another video will feature our new cheerleading rival squad, with Eva (TM doll #42) as the head cheer girl and Inda Spirit as the Mascot! The dog is so incredibly cute! New Cheer uniforms have arrived! American Girl Spirit's Mascot INDA SPIRIT! 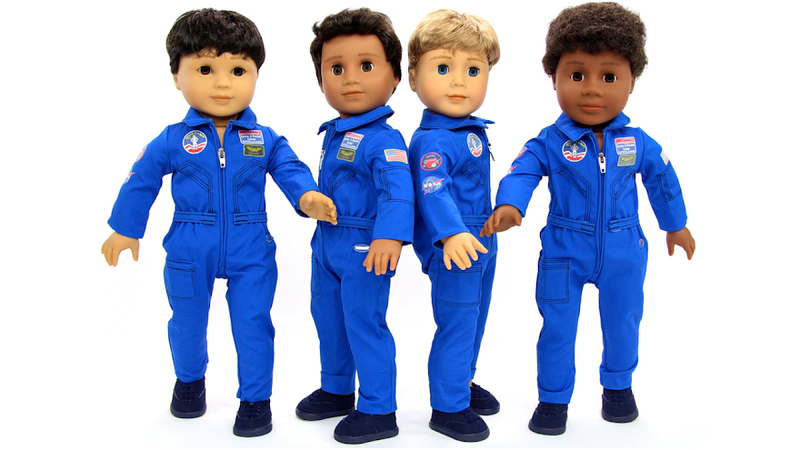 This next video has been so spectacularly fun to plan, the American Girl Spirit Roller Girls. I just love their uniforms especially the jackets! Our head Roller Girl Maryellen Larkin is wearing the very cool Roller Girl uniform we have put together in the picture below. 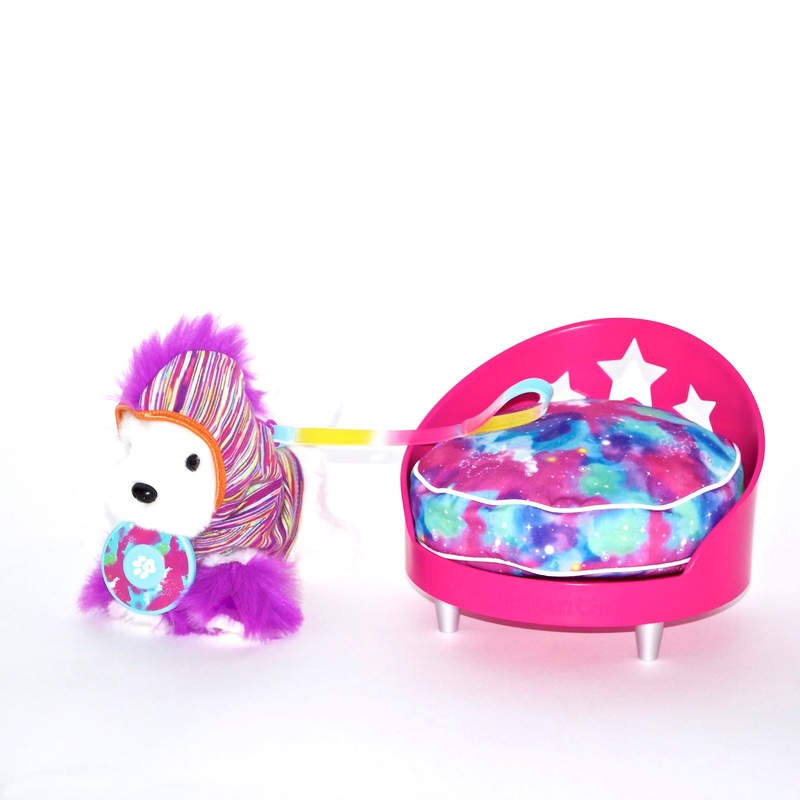 The Roller Girls will consist of our Beforever Dolls! Could this be what Rebecca and Samantha were talking about when they left the American Girl Spirit Cheerleading Squad? All of these videos are in the planning stage, and we will keep you posted with some fun behind the scene photos as they become available. Yes, Yes, Yes We Do! 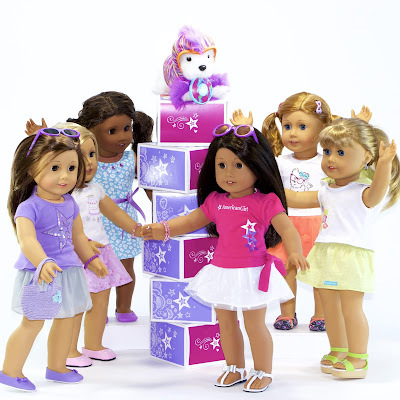 We've got AMERICAN GIRL spirit! How about you? !